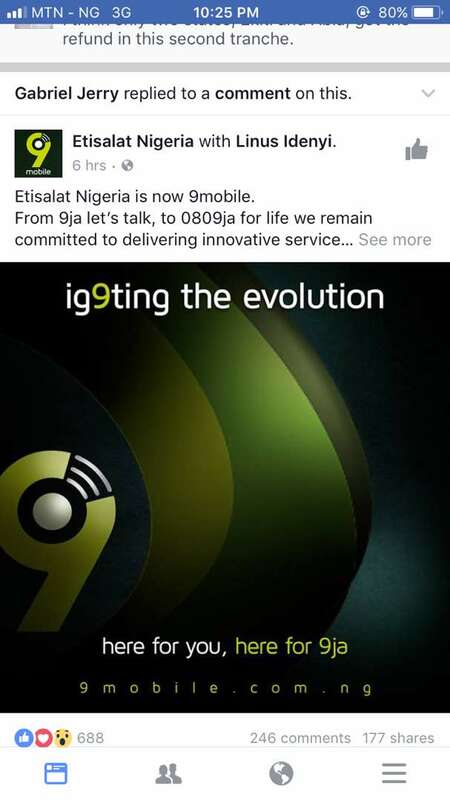 It's now official, Etisalat is no more or at least no more in Nigeria. Although the new name was first announced few days ago at a recent management meeting, the name just got official approval from NCC and a new logo has even been unveiled. The decision for a new name came after the Middle Eastern parent company pulled out due to the inability to reach an agreement with its Nigerian business in June and gave it three weeks to phase out the brand after it had to surrender its 45 percent stake to a trustee because of the debt crisis. When asked the reason for the new name, the reply was ..
"9 is significant with nature, the start of life, time of birth. from our entry into the market 9 years ago to our evolution 9 years after, we are still 0809ja.we are here for you, rebranded for you because it is all about you. 9 stands for speed, quality, excellence. if you’re looking to the future, you find it with 9.9 gets you talking more, doing more, achieving more & living more". Although this is a new name, report has it that the management and also mode of operation won't be affected. 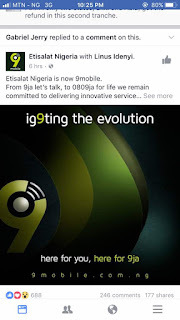 So that means all Etisalat users will be automatically moved to 9mobile without the need to re-register.